Most of the time we take water for granted. It’s there when we turn on the tap, take a shower, or hop in the pool. It sits quietly in the background of our lives, yet without it, we wouldn’t be here. Water is Everywhere: Yeah, we all knew that. But of the 332,500,000 cubic miles of water on earth, only 1% is fresh and accessible—including not-so-environmentally-friendly bottled water. So what can we do to help the planet and get our hands on clean, eco-friendly water? Vero Water provides the perfect solution in its water bottling system. 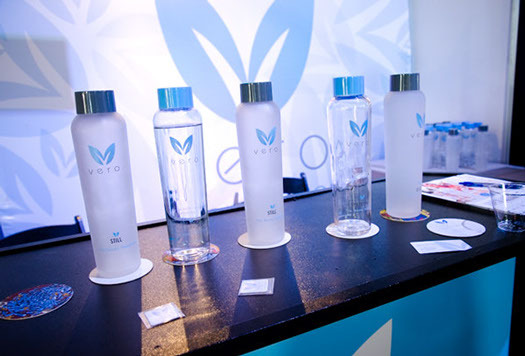 Vero Water filtration and bottling systems waste less energy and provide clean, fresh water that is simply the best tasting in the business. “Fresh” is a Relative Term: Before 2009, federal regulations did not have high standards for bottled water. In fact, they didn’t even require water bottlers to check for and remove E. coli! And in 1999, the NRDC found that one brand of bottled “spring water” came from a well in an industrial parking lot near a hazardous waste facility. Fortunately, Vero Water’s proprietary purification system, Vero+, removes impurities, chemicals and imperfections on-site while leaving the crisp signature taste of Vero Water every time. You Could Try to Make Water Yourself: By simply mixing hydrogen molecules and oxygen molecules and adding a spark you’d come up with pure, clean water. Unfortunately this is the process that brought down the Hindenburg…. Better to leave the purification to the pros at Vero Water. It’s all of the homemade satisfaction with none of the explosion.